The connection with old iron is found in the personal history of every car guy who ever coveted something old, outdated and worn out. This lineage can go back one generation – or even two and it’s usually traced within the family tree. 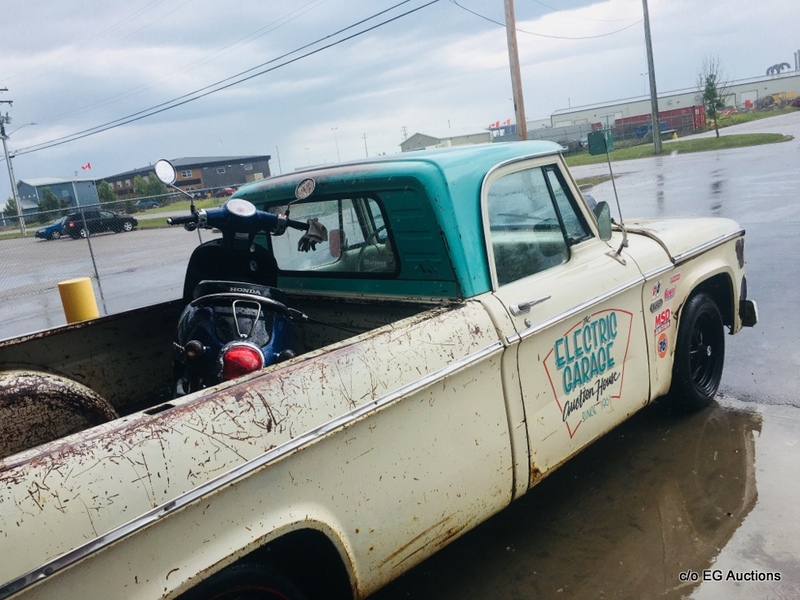 In this case it’s two generations because the connection with this ’61 Fargo pickup goes back to grandfather’s old farm truck. 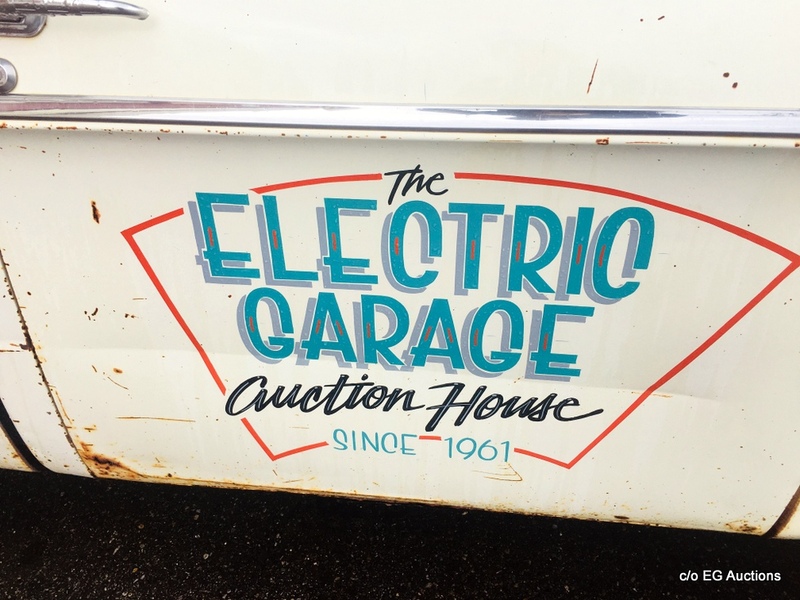 Todd Schwindt sells classic vehicles for a living because he’s the President and CEO of EG Auctions so he’s usually involved with the retail side of the hobby but there was one truck he couldn’t resist. Todd’s grandfather was a farmer who homesteaded and ran an operation near Watson, Saskatchewan, Canada. His grandfather miled-out a ’61 Fargo and it was retired like most old farm trucks – it was shoved into the bush and basically forgotten. 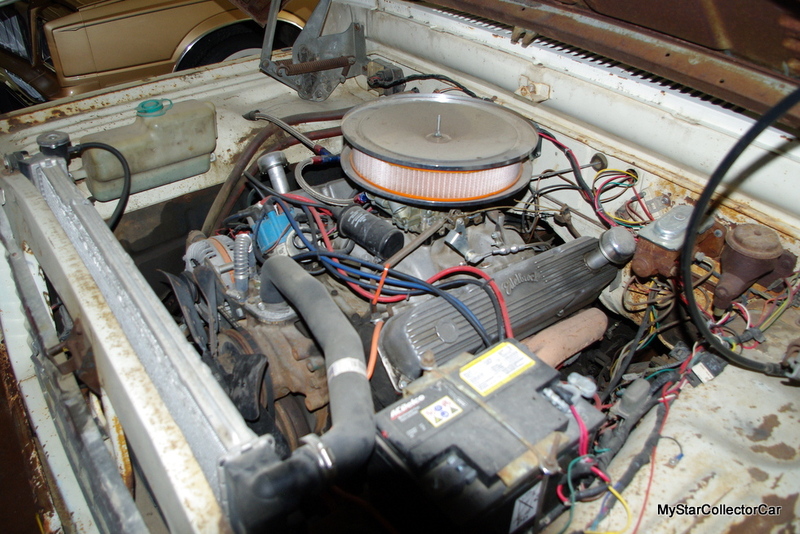 Todd said, “It sat for years after it quit running” but time was not kind to the old truck. Originally Todd wanted to restore the old truck but unfortunately he used it as a platform to shoot old cans and he and his buddies used a shotgun instead of a target rifle. Grandpa’s old truck was basically beyond repair after young Todd’s carefree shooting practice but he never lost his attachment to the 1961 Fargo. 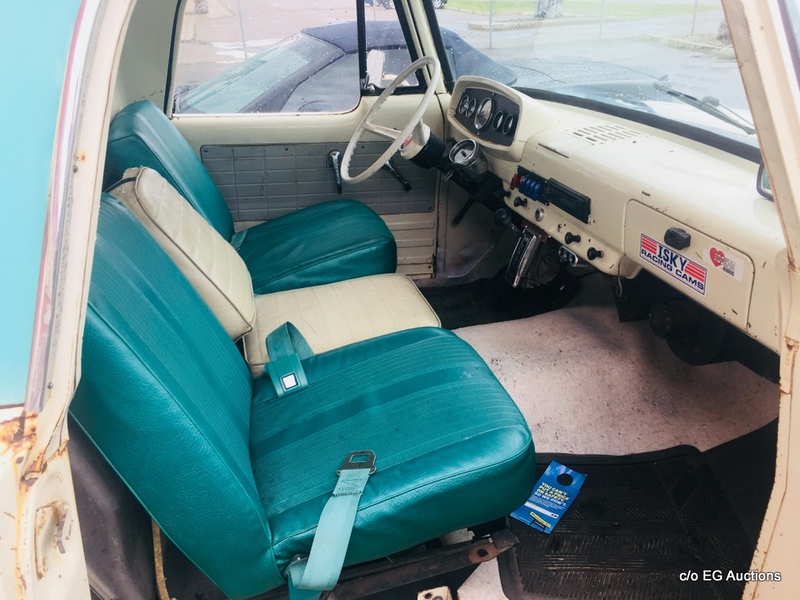 Fargos are pretty rare in general but the ’61 Fargo is seen less often than Bigfoot so it took Todd a long time to find one – and he’s connected to the hobby in a big way. Todd said he finally “came across this one” and he was happy to pop on the deal. It still wears its original two-tone paint but it’s showing its years. 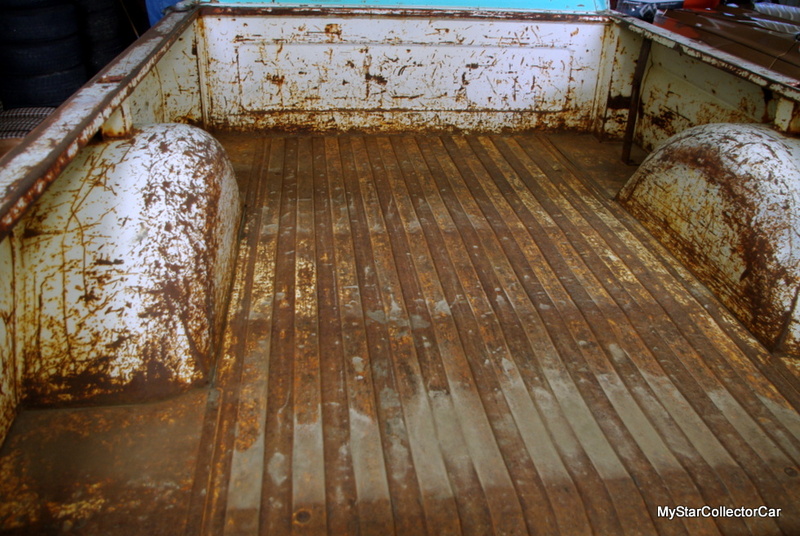 This was an Alberta truck originally so Todd described it as “pretty much rust-free”. 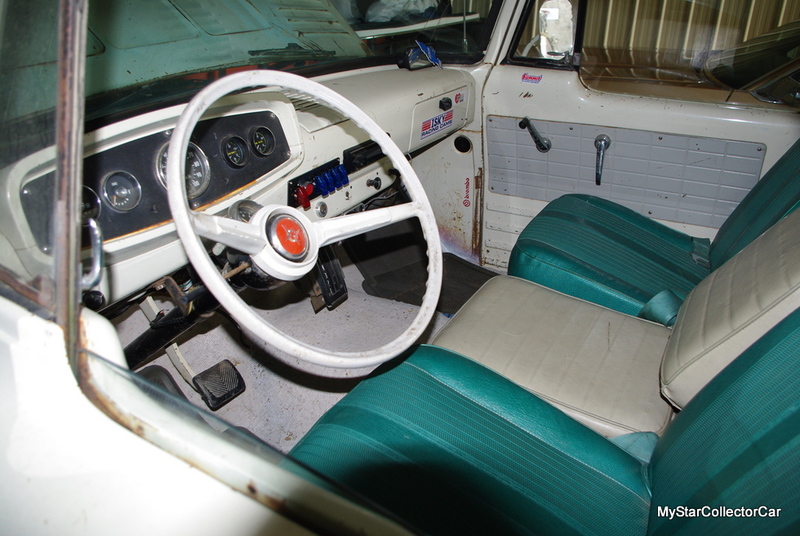 It came with a 440 that Todd said was “modified a bit” and there’s a dash-mounted automatic shifter to handle the big block. This is going to be a working truck so that scenario is very similar to the role his grandfather’s ’61 Fargo played almost 60 years ago. Todd doesn’t have any major changes planned for the Fargo but he does want to “lower it a bit and change the wheels”. 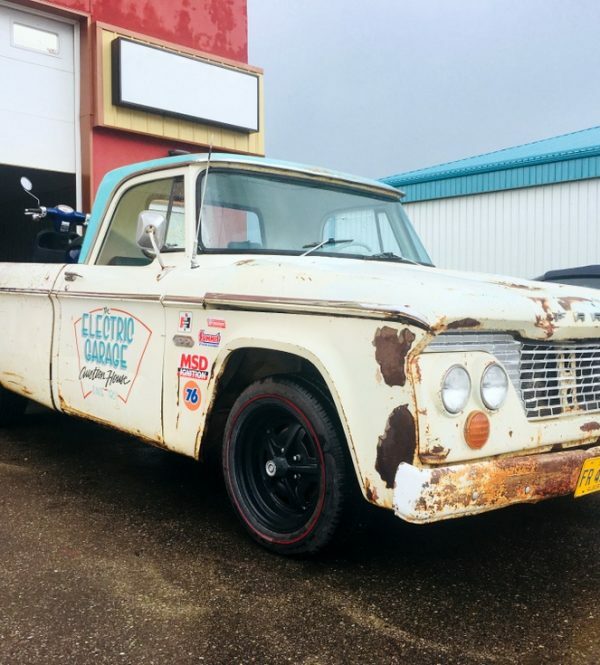 Todd’s Fargo is destined to be a shop truck and he’s already done some hauling with it but it’s also going to be a public relations vehicle for EG Auctions. He had the doors lettered and he wants to give the logos a “distressed look” so it will mesh better with the overall patina of the truck. The old truck is a people magnet so one of its roles will be to showcase the company at car shows and other hobby-related events. 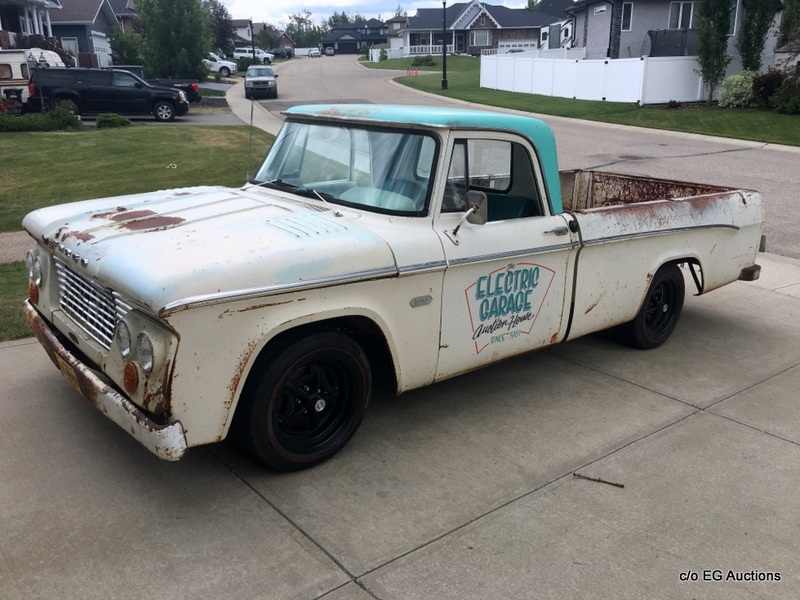 Todd said it attracts attention every time he stops so he is very comfortable with its effectiveness as a rolling billboard for the EG Auctions plus it will haul stuff. 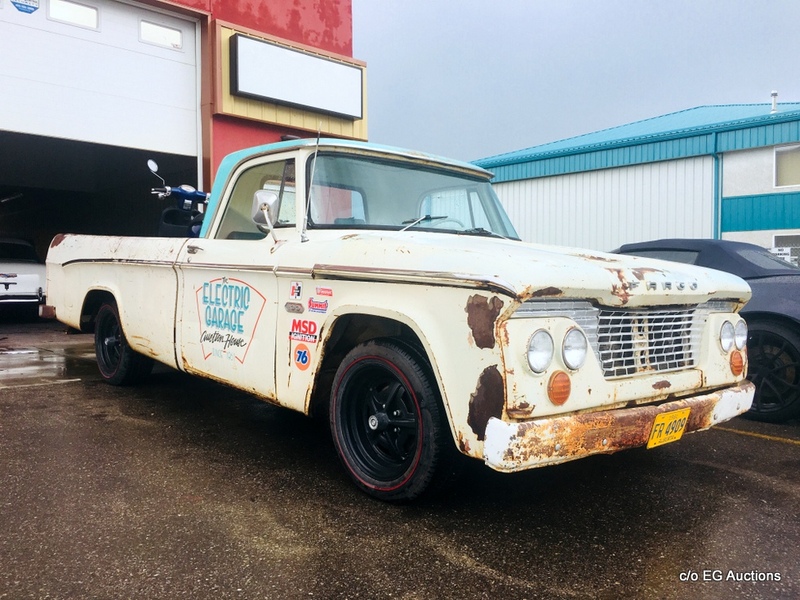 Todd’s grandfather set the wheels in motion for this ’61 Fargo when he used his as a workhorse on the farm and that one was definitely the inspiration for this truck. 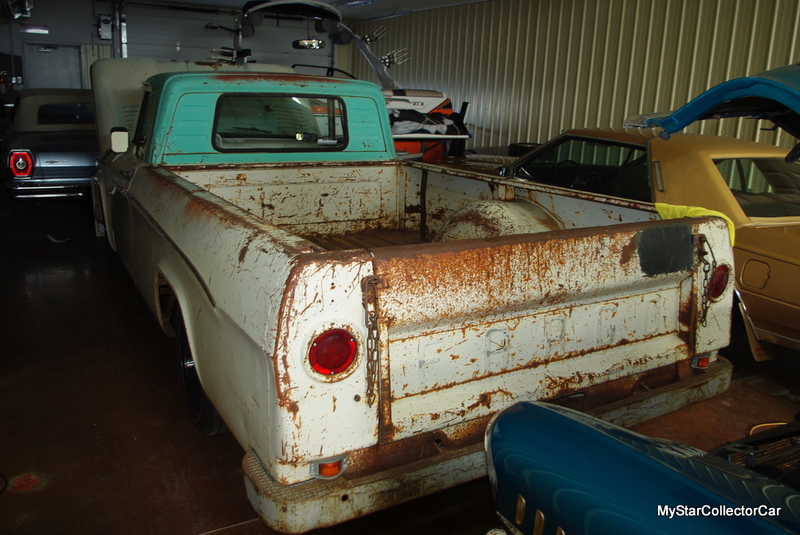 In fact, Grandpa’s truck may have been this truck except it didn’t survive a hail of shotgun blasts years ago.